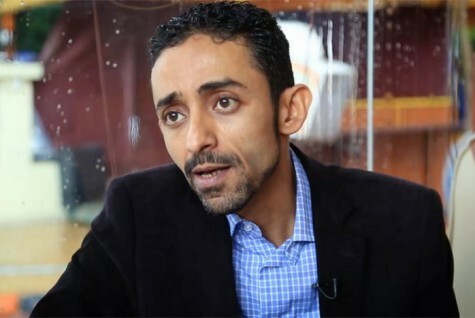 Prominent human rights defender and on-line activist Hisham Al-Omeisy has been arrested by Houthi authorities and remains in detention without access to a lawyer or his family. At approximately 2:45pm on 14 August 2017, a large group of security officers from the National Security Bureau (NSB) arrested Hisham Al-Omeisy in Jawlat al-Misbahi in south Sana’a. He is being detained in an undisclosed location and as yet, no charge has been brought against him in a flagrant breach of Yemeni and international law. Since his arrest he has had no contact with a lawyer or his family and there are serious concerns for his health and well-being. - Saudi Co & #Yemen gov say Sana'a airport closed out of concern for safety of planes. That's codswallop, THEY ARE ONES BOMBING for 2+ years. The arrest and detention of Hisham Al-Omeisy is another example of the harassment and targeting of human rights defenders and journalists in Yemen as they attempt to draw attention to the on-going conflict and strive to promote and protect human rights. The Gulf Centre for Human Rights (GCHR) expresses serious concern for the health and safety of Hisham Al-Omeisy particularly as he is being held incommunicado in an undisclosed location. GCHR expresses further concern for the situation of all those in Yemen who are being targeted as a result of legitimately reporting on the conflict.